Paul Gordon is the Senior Winemaker at Leconfield Wines, having joined this iconic Coonawarra winery in 2001, and is the man responsible for our June Wine of the Month, the Leconfield Cabernet Merlot 2014. We catch up to talk to him about his love of wine and life beyond the vats. Wine was very much a Christmas and Easter drink at our house. I have to admit to having had the odd illicit glass of 'Cold Duck' - which is showing my age - or perhaps a sparkling white. An Aunt indulged in bottles of Yalumba Galway 'Claret', which would have been my first taste of a dry red - I can't recall my reaction to it, but it could well have been the wine that sparked my interest in the industry in my teenage years. Of course, there were also the cooking 'sherries', which slowly evaporated between trifles! There are many great memories - perhaps vintage Champagne with Chateaubriand steak in Epernay, the La Chapelle at Pic restaurant in the Rhône Valley or a Super Tuscan at one of those never-ending Italian lunches. I enjoy older Riesling or Semillon and am in search of the best Grenache from Spain or Southern France. Luckily, there is always a bottle handy of McLaren Vale Shiraz or Coonawarra Cabernet Sauvignon when the imported Grenache fails to live up to its promise. What's your ultimate food + wine match? The ultimate match for food and wine is good company! I don't have a particular 'go-to' wine, but I would say that I enjoy elegant and fine wines that invite a second or third glass, over something that is too rich. So perhaps a good start would be a fine Riesling with sashimi, Coonawarra Merlot with a steak tartare, then Coonawarra Cabernet Sauvignon with a rare backstrap of lamb. It tends to be the one I'm currently reading, which is Oystercatchers by Susan Fletcher. A few from this year: Antony Beevor's Stalingrad, Victor Hugo's Les Misérables, Salman Rushdie's The Moor's Last Sigh and Ayaan Hirsi Ali's Infidel. If I was locked in a theatre for a week, I would insist on Krzysztof Kieslowski's ageless trilogy, Three Colours Red White and Blue, and The Double Life of Veronique. 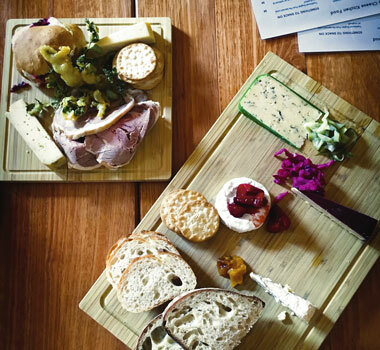 If I was to define a preferred type of restaurant, then shared plates or degustation is my style. But no steak - our local 'Meek's' butcher is so good that few restaurants can provide meat of the quality that can surpass one locally sourced and cooked at home. Locally, 'Pipers of Penola' has won so many awards for best regional restaurant in South Australia that it is a must place to dine. Time of day/night - why? I'm definitely a morning person. However, I do aspire one day to be able to sleep in. I'm notorious for falling asleep at dinner parties and at the theatre. The Wine Selectors Wine of the Month for June is the Henschke Henry’s Seven Shiraz Blend 2013. 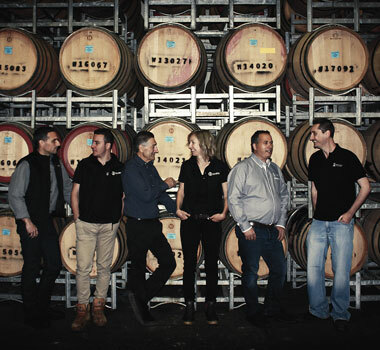 The Henschkes, one of Australia’s most successful wine dynasties, are six generations strong with fifth generation winemaker Stephen and his viticulturist wife Prue at the helm and the sixth generation – Johann (winemaker), Justine (marketing and public relations manager) and Andreas (Henschke ambassador) – all involved. Henry’s Seven The Tasting Panel chose the Henry’s Seven to match with nonya style chicken thanks to its savoury nuances of rosemary, sage, pepper and anise, which match perfectly to the spicy, fragrant characters of the dish. To this Stephen adds, “Our deep garnet coloured Shiraz blend from the Barossa is a perfect winter warmer in June with its plush texture and fine, velvety tannins.” A few of Justine’s favourite things As you can imagine, the Henschkes live and breathe wine, but, of course, there’s more to the family than grapes and ferments. So to help you get to know one of the faces behind the name, we quizzed Justine Henschke on eight of her favourite things. Of course, if you want to find out why Justine thinks her family’s region is so perfect for grape-growing, check out the video chat we had with her. 1. Book Coco Chanel by Justine Picardie. I love to read biographies, and read this a number of times to prepare for an internship with the company. 2. Movie Erin Brockovich – a dramatization of a true story. Julia Roberts plays a sassy American legal clerk and environmental activist. I enjoy all of her films. 3. TV show Game of Thrones . It’s just…so…shocking that it’s addictive. The creators really know how to construct a cliff-hanger. 4. Restaurant Matt Moran and Peter Sullivan’s Chiswick in Woollahra, Sydney. I lived across the road for a little while. It was dangerous! 5. Breakfast That Little Place, Stockwell, Barossa – it has only recently opened and does great coffee and nourishing food. 6. 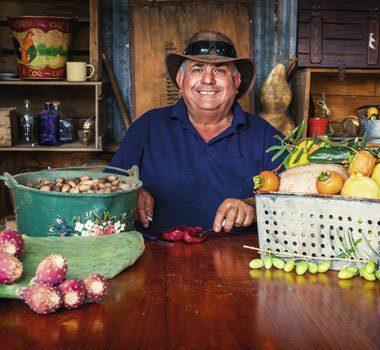 Lunch Artisans of the Barossa Harvest Kitchen – the ‘Feed Me Menu’ is the way to go. 7. Dinner FermentAsian – for Tuoi’s Vietnamese and Thai cooking using local produce and Grant’s extensive wine list. 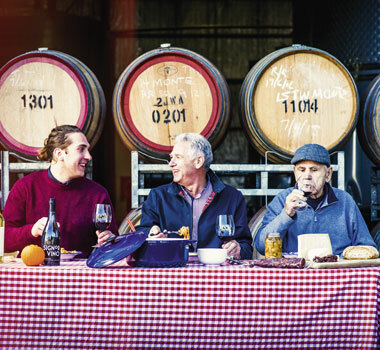 They’ve created a warm atmosphere and offer something a little different, which the Barossa has certainly embraced. 8. Time of day/night Sunset. Who doesn’t enjoy that time of the day when you can finally wind down with a glass of wine? And even better when you can find yourself a great view. Watch our exclusive video interview with Justine Henschke talking about the magic of the Eden Valley.